Gallant has new respect for art restorers after being called in to refurbish Neiman Marcus’s signature statue. This gargantuan work of art needed a head-to-toe makeover: steel repairs, refurbished foundation and a new coat of paint that would stand up to the elements. This sculpture was something of a diva. Even lying on its side in a delivery truck, it was 28 feet tall, two feet taller than the traffic lights. The steel company that it needed to visit was 35 miles away. What’s more, there was a chance the sculpture would splinter into pieces when we removed it from its base and placed it on the ground. Gallant’s team of experts corrected welds and installed new plate steel to return the sculpture to prime condition. Then, we found a low boy trailer that would allow the sculpture to slip under traffic lights and successfully transported the work of art to the painting facility. 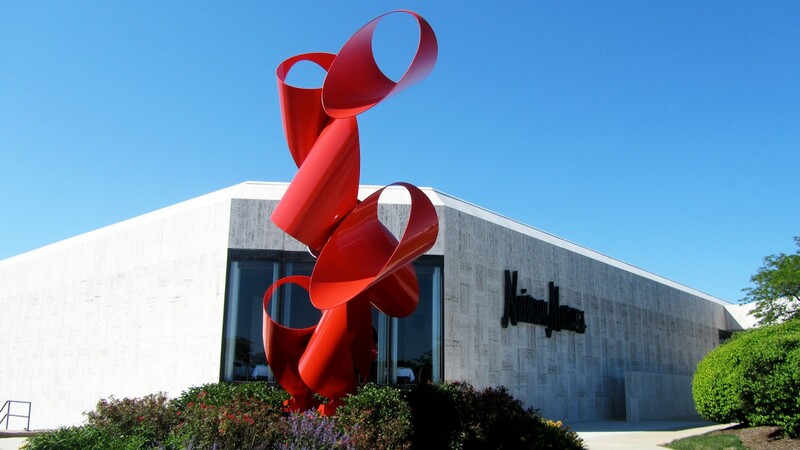 From there, it was a cautious trip back to Northbrook, where we returned the sculpture to its showcase spot with two cranes and a whole lot of care. The prima donna is back in the spotlight outside Neiman Marcus. Her paint gleams, her steel is sound and the client is applauding both her restored good looks and the care we took through every step of the refurbishment process.